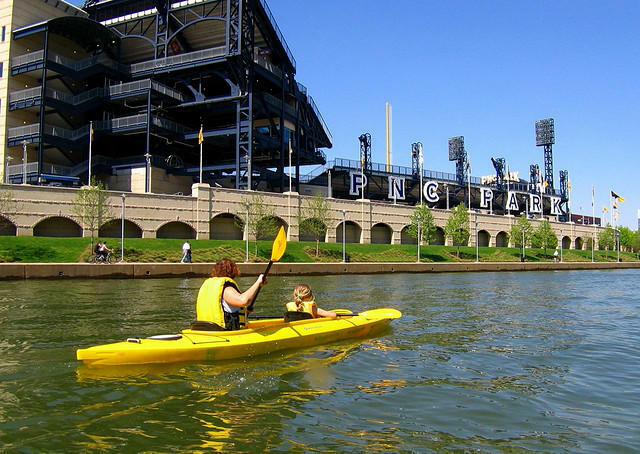 There are so many outdoor activities to do in Pittsburgh. Find out about the business industry that keeps it all afloat. Whether it’s hiking, biking or some other activity, outdoor recreation is big business. A coalition of non-profits in the region is proclaiming this the Summer of Outdoor Recreation. for those looking to get into the business of recreation, The Progress Fund supports local entrepreneurs in the tourism industry. Trail Towns is also a resource for businesses along the Great Allegheny Passage. Local environmental resources like Family Tyes and Friends of the Riverfront teach kids about our waterways. And the PA Environmental Council and Sustainable Pittsburgh offer a wide range of eco-friendly outdoor ideas. And for active explorers there's the Three Rivers Rowing Association,Venture Outdoors, and Bike Pittsburgh. Hear more about the Summer of Outdoor Recreation initiative and ways to cash in on this industry with business contributor Rebecca Harris. Can you really answer the question “tell me about yourself” in an interview, while being sure to talk about skills relevant to the job? How about describing a difficult work situation and making it sound like you're a great problem solver? Effective interviewing is a skill and our business contributor Rebecca Harris offers some advice to help you ace the interview.